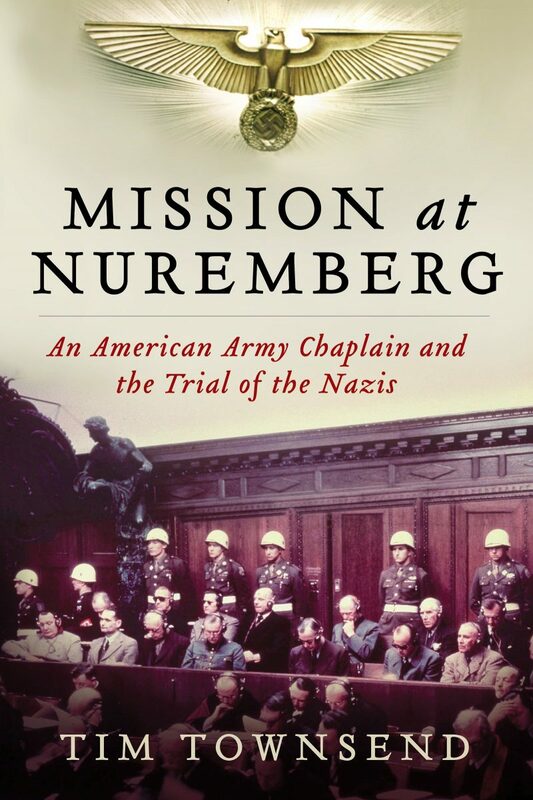 Recently Nate Sullivan had the opportunity to speak with Tim Townsend, author of Mission at Nuremberg: An American Army Chaplain and the Trial of the Nazis, and ask him a few questions about his book. Tim Townsend holds master’s degrees from the Columbia University Graduate School of Journalism and Yale Divinity School. He has written for the Wall Street Journal, the New York Times and Rolling Stone, among other publications. He was formerly the religion reporter at the St. Louis Post-Dispatch, and is now the news editor at Timeline.com. His first book, Mission at Nuremberg came out last year. 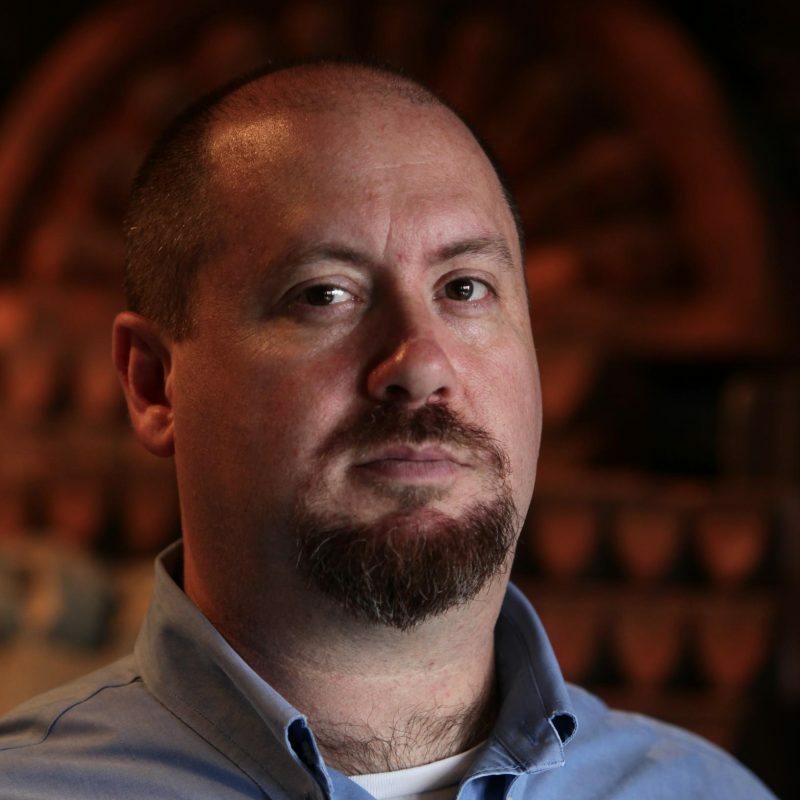 WHO: Today we’re talking with author Tim Townsend about his book, Mission at Nuremberg. Tim, thank for the interview; it’s a privilege to talk with you. Tim: Absolutely, thanks for having me. WHO: Your book is certain to be of interest to our followers. No doubt many have read it, but for those who have not, tell us what this book is about. Tim: The Nuremberg Trials was a major moment in 20th century history. It was covered extensively by the press, and at the time it became sort of the biggest show on earth. And it has been covered quite a bit in history books, so it was strange for me to uncover this piece of history that hadn’t really been told before. While working in St. Louis, I stumbled upon a story of a man named Henry Gerecke who was the U.S. Army chaplain assigned to the twenty-one major war criminals at Nuremberg. So the book is about him, and his assistant pastor, a Catholic priest named Sixtus O’Conner. It’s about how the U.S. Army provided spiritual comfort to these men – these men who were responsible for the Holocaust. So it’s about what that looked like, about how these chaplains performed the very sensitive job of ministering to the Nazis on trial for crimes against humanity. WHO: Fascinating. Can you tell us a little more about the background of these two chaplains? Tim: There is a lot less known about Father O’Conner. He didn’t speak much about his Nuremberg experience after the war. I was able to piece together as much as I could. He was brought up in a Catholic family in upstate New York. He became a Franciscan friar, and studied philosophy in Germany before the war. He was assigned to a combat unit during World War II, and they made their way across Europe, and ended up in Austria during the very end of the war. They liberated a hellish concentration camp called Mathausen. And of course, being Catholic, he was charged with ministering to the Catholic prisoners at Nuremberg. And Gerecke, a Lutheran, was brought up on a farm in Southeast Missouri. He also spoke German. He became a pastor in St. Louis, and eventually volunteered to go to war. He spent much of the war at a hospital outside London, but eventually moved through Germany and into Munich. And that is where the Nuremberg officials discovered him, and assigned him to be the main chaplain during the trials. And I should mention that before the war, during the Depression, he worked as a missionary in St. Louis to people on the street, and also in the prison system. That was another reason why the Nuremberg officials wanted him: because he had experience ministering to people behind bars. WHO: When many people think of the Nuremberg Trials, they think of Hermann Goering. He was, in many respects, Hitler’s number two man, and at the Nuremberg Trials he was probably the most well-known war criminal. Can you highlight some of the interactions between Gerecke and Goering? Tim: Yes. They had a lot of interaction actually. They were more or less the same age. And of course, Goering was very popular among the American guards. Goering always wanted to talk about things like baseball. So he and Gerecke struck up a year-long conversation about religion. Goering was not a believer, but was interested in religion. So they had a lot of theological conversations. Both of the chaplains also did a lot for the wives and children of the men in prison. They made sure the families had somewhere to live, and often took them food to eat. They did a lot to look after these families, and that was true especially of Gerecke with the Goering family. Gerecke was fairly close with Goering’s wife and daughter. Gerecke and Goering had a very interesting relationship throughout the trial. And then there is this dramatic scene between the two men at the very end of the trial. Goering essentially knows that it is the last night before his execution and asks Gerecke to give him Communion. After a long conversation, Gerecke refuses, because he believes that Goering is not truly accepting of the Christian faith. Then just an hour or two later, Goering takes the cyanide that killed him. And the first person through the cell door to his side is Gerecke – Gerecke was there as he died. WHO: Wow. That’s intense. And there is some pretty intense stuff throughout the book. Aside from the actual history, you dig into some issues of theology, ethics, forgiveness, etc. Let me ask you: for Gerecke, in his view, how was he able to interact with, and even minister to, men who most of us would consider monsters? Tim: Well, that was one of my big questions in exploring this. That’s a thing that most of us probably couldn’t do. And Gerecke at times had his doubts. When he was first given the assignment, he really had to think long and hard about whether he should take it. And when he got to Nuremberg, his first time in the prison with these men was nerve-racking; he didn’t know what to say to these men who had stood right next to Adolf Hitler. And of course, he knew what they were responsible for. He had been to Dachau a number of times when he was stationed in Munich. He saw the aftermath of that concentration camp. And O’Conner as well, had seen a concentration camp in the immediate aftermath of the war. So they both went in with their eyes wide open. So this was a chance to bring their faith to the darkest place that human beings could reside. And Gerecke felt his would be his biggest challenge in life as a pastor. He wanted to bring the Light into the darkness of these men’s souls. I think this was based foundationally in his faith. He felt he needed to save those most in danger of going to hell. And he was intent on doing it as quickly as possible before the inevitable hangings. So throughout that year, both chaplains worked tirelessly to bring as many of these guys to faith as they could – and in a way that was real, not just so the court would look upon them more sympathetically. So that was their motivation for ministry. WHO: How did this book come to be? Can you share with us a little about your research and where you found sources? Tim: Sure. I was working on a story for the newspaper about modern-day chaplains coming home from Afghanistan and Iraq. And in the course of my research, I found a letter that had been written to Gerecke’s wife in St. Louis by one of the Nazi war criminals at Nuremberg, and it was signed by all twenty-one of them.See, the Nazis had heard a rumor that Gerecke’s wife had asked him to come home about half-way through the trial. This was a letter begging her to let her husband stay until the end of the trial. Part of the letter reads: “Obviously we don’t need to tell you, Mrs. Gerecke, what an extraordinary man your husband is. We have simply come to love him.” And I saw that, and that was kind of the beginning of all of this. I found Gerecke’s son, who is now 94 I believe. I went to talk with him, and he told my about his parents. I went to the National Archives, and several other archives, including the Army War College in Carlisle, Pennsylvania, which has one of the best collections about the Nuremberg Trials. I went to Germany a couple times to go to Nuremberg, and I actually met with two of the sons of the defendants. So it was a lot of work, but a very satisfying experience. WHO: I’m sure. Tim, congratulations on the book. It’s a great read. I’m sure our readers will enjoy hearing this story. It’s been a pleasure talking with you; thank you very much your time. Tim: My pleasure; thank you.